I know how to read dogs, I know how to read Foxes, this one is just pissed off. 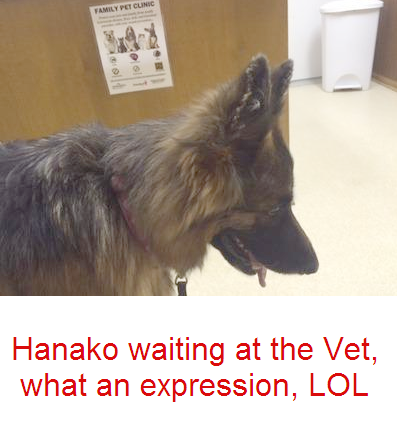 Below is a picture of my younger dog, waiting at the Vet. What an expression! Fact of the matter is that they relied on people outside the plant boundary for food. Now they are going where the people are at. 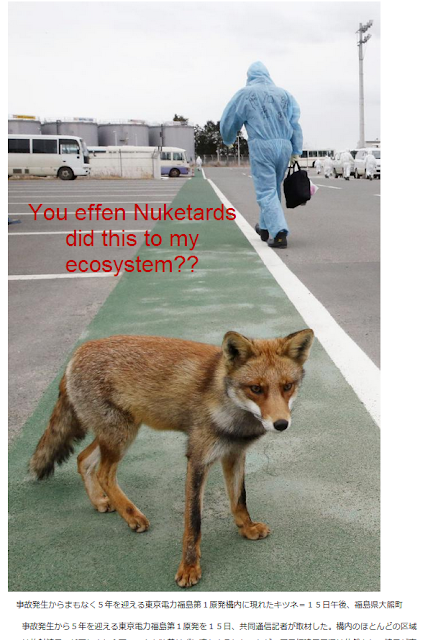 Doesn't it surprise you that many folks put in lots of time at the plant closest to the radioactive source, yet those that lived next door are nowhere to be found? WTF are you talking about, your sentence structure makes no sense. methinks you got a glutamine receptor problem in yous brain. Indeed even though like Chernobyl, the ecosystem should have a huge boost by the lack of humans and the lack of humans spraying and using chemicals everywhere....but instead the ecosystem is badly damaged. The foxes can't even find birds and other small critter to eat.